And when you think about high elevation places in the Hawaiian islands, of course you have to talk about that basic dichotomy between the lower elevation places where people live. And in old times, the lower elevations would have been called the Wao Kanaka. Wao being a word that means “zone” and “Kanaka” being a person. So the Wao Kanaka is a zone in which people belong. Let’s look at Hawaiʻi’s peaks, the highest point on each Island as we move down the Island chain. Ni‘ihau was formed from a single shield volcano approximately 4.89-million years ago, making it slightly younger in age than Kaua‘i. It is approximately 70-square miles or 44,800-acres. 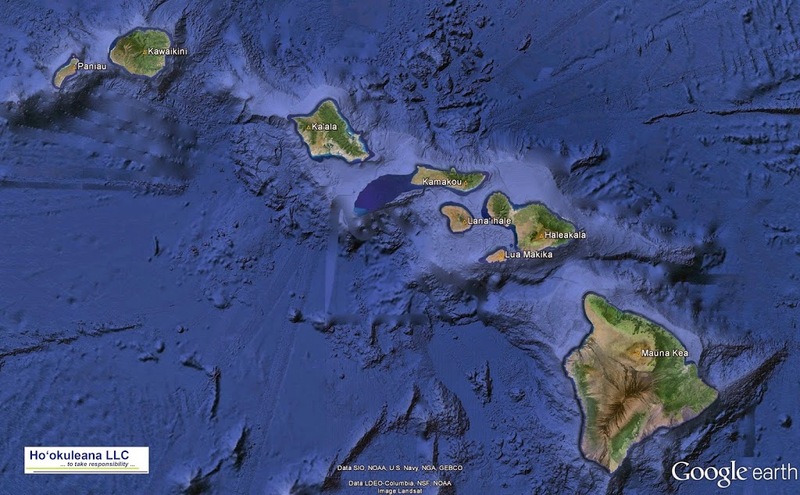 It’s about 17-miles west of Kauaʻi. The Waiʻanae Mountains, formed by volcanic eruptions nearly four-million years ago, have seen centuries of wind and rain, cutting huge valleys and sharp ridges into the extinct volcano. Mount Kaʻala, the highest peak on the island of Oʻahu, rises to 4,025-feet. 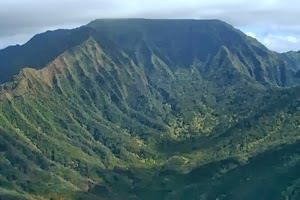 Kamakou is part of the extinct East Molokaʻi shield volcano, which comprises the east side of the island. 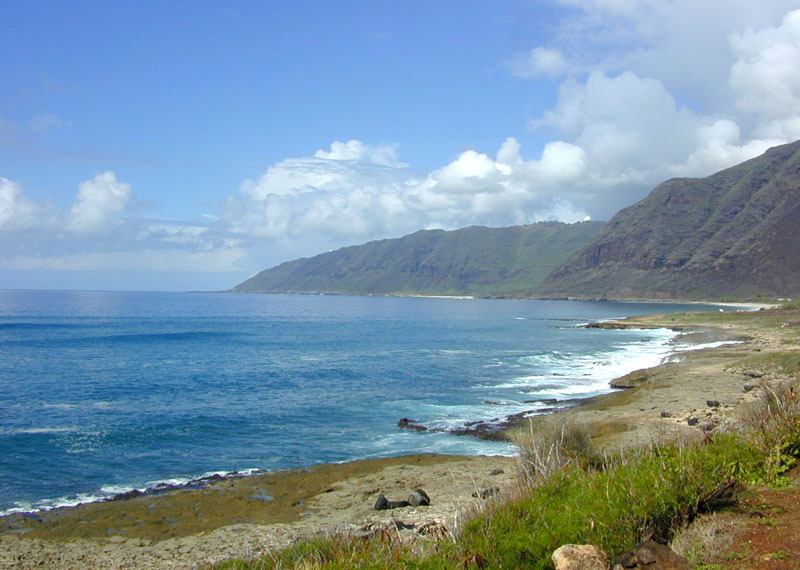 It and much of the surrounding area is part of the East Maui Watershed partnership and the Kamakou Preserve. A boardwalk covers part of the rainforest and bog to protect the hundreds of native plants, birds, insects and other species there. The island of Lānaʻi was made by a single shield volcano between 1- and 1.5-million years ago, forming a classic example of a Hawaiian shield volcano with a gently sloping proﬁle. (SOEST) The island of Lānaʻi is about 13-miles long and 13-miles wide; with an overall land area of approximately 90,000-acres, it is the sixth largest of the eight major Hawaiian Islands. Kahoʻolawe is the smallest of the eight Main Hawaiian Islands, 11-miles long and 7-miles wide (approximately 28,800-acres;) it is seven miles southwest of Maui. The highest point on Kahoʻolawe is the crater of Lua Makika at the summit of Puʻu Moaulanui, which is about 1,477 feet above sea level. The image shows the Islands’ Summits (Google Earth.) In addition, I have added some other images in a folder of like name in the Photos section on my Facebook and Google+ pages.